A truly Christian approach to running a business would be modelled after the father in the Gospel story of the prodigal son by giving jobs and a second chance to those who have made mistakes, Pope Francis said. A business plan inspired by “communion”, he said, “is not blocked by the meritocracy invoked by the older son and by many who, in the name of merit, reject mercy”. 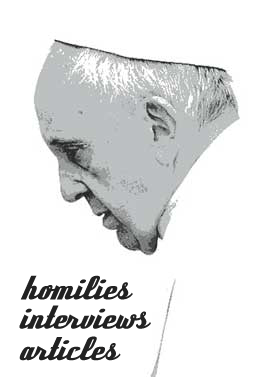 Meeting with hundreds of people involved in the “economy of communion” project of the Focolare Movement, Pope Francis said their business model of promoting co-responsibility, sharing profits and creating jobs can be the leaven needed to promote an economic model where “the rich know how to share their riches and the poor are called blessed”. One cannot be a Christian if one worships idols, Pope Francis said, and “one of the most powerful idols is money”.